Driving in Italy is fun. And an Italy road trip is the best way to explore its lesser known regions and beautiful towns. If you are thinking about driving or renting a car in Italy it is a good idea to prepare yourself with information about how to drive in a country whose drivers and roads have a somewhat challenging reputation. We compiled our guide to driving and road trips in Italy having done many trips from north to south using both rental cars and our own car. Over the years we’ve had a few mishaps – including getting stuck and scraping our hire car on a recent trip to Sicily (not fun but our fault). But, having a car has meant the freedom to explore and find exciting out-of-the-way places and we are always planning our next trip. These are our tips for driving holiday in Italy. Take note and enjoy your Italian road trip. I can just see you winding along the Amalfi Coast road! 11 Enjoy your Italy Road trip! Renting a car in Italy is the best choice if you want to explore the countryside and small villages and regions such as Tuscany, Puglia, Sicily and the Italian Lakes. If you are only visiting Italy’s major cities – Rome, Florence, Milan, Venice and Naples – renting a car is not the best way to get around. High speed trains connect the cities and major towns quickly and you are dropped right into the center of town with no need to negotiate traffic or find car parking which is expensive and can be difficult to find. Taking the train is by far the easiest way to get between cities. We recommend using the easy to use Omio site and app to plan your journey and book your tickets. Driving in Italian cities, especially Rome, Milan and Naples, can be challenging and is not recommended. Plus you need to avoid a complicated system of ZTL or pedestrian zones. Huge fines apply for driving in these restricted areas. Most places you want to go within the big cities are either within walking distance or served by an efficient public transport system. Of course, you can’t drive in Venice! Renting a car in Tuscany is a great idea. A Tuscany road trip is a popular way to see the gorgeous hill top towns and vineyards the region is famous for. Tuscany is a large region and traveling by public transport outside the major cities – Florence, Pisa and Lucca – can be slow. Don’t forget to look for and avoid the ZTL zones in Siena, Arezzo, Cortona, and Pisa as well as Florence. Out of season, doing an Amalfi Coast road trip is definitely a travel highlight, especially for those who love driving on winding and scenic roads. Come summer and high season (June – September) when the same roads are packed with locals and tourists, the situation is reversed. Then, it can be a bit of a nightmare. Traffic moves at a snail’s pace and parking is incredibly difficult to find. Tempting as it is, we recommend using the local ferries and buses to move between the towns. You can also hire a driver for the day – click here for prices and more information. If you want to include the villages of the Cinque Terre in your Italian road trip be aware that there isn’t a lot of parking. These are tiny villages and the roads are rough, narrow and designed for local traffic only. Expect to pay €25+ for parking. The best way to see the villages is to park your car at one of the nearby towns such as La Spezia or Levanto and catch the local train or ferries to the Cinque Terre villages. In La Spezia there is a secure car park under the station and another close to the harbour if you are taking the ferry. You will find a large parking area behind the train station at Levanto. Renting a car in Italy is straightforward, and there are many options including the usual global car rental companies – Hertz, Avis and Europcar as well as local providers like Sicily by Car and Maggiore Car Rental. We use both Rentalcars.com and AutoEurope to find the best car rental deals in Italy and Europe. When booking our car rental we would do a sweep of both sites to find the best deal. One way car rental is often one of the key requirements we have on our trips and we find that AutoEurope offers the best options to do this in a cost-effective way. Another, benefit of using these services is that they provide a handy 24-hour service hotline should you run into difficulties. The best place to pick up your rental car depends on the city you fly into or want to start your touring from. Here are our recommended pick up and drop off points for destinations around Italy. Choose the type and size of car wisely and avoid large cars. Getting stuck in small streets is almost a rite of passage for anyone driving in Italy but you can make things a little easier for yourself if you rent a smaller car. Build in lots of time for car pick up and drop off when planning your trip as this can take a little longer in Italy especially around lunch time and on weekends. You must be 18 years or older and have held a valid driver’s licence for one year to drive a car in Italy. If you do not hold an EU passport, you will need an International Driver’s Licence as well as your standard issue licence. You can get these permits from your local automobile association. Italians drive on the right-hand side of the road. All passengers in motor vehicles must wear seatbelts and those riding motorcycles or moped must wear helmets. The legal blood alcohol limit for drivers is 0.05%. Speed limits that apply under normal driving conditions. Note – the items should be provided by your car rental company. If you are driving your own car, make sure you have them to hand. One of the quickest ways to accumulate fines in Italy is to enter historic centres in your car. Most old cities have Limited Traffic Zones or ZTLs (mainly pedestrianized areas) that allow only residents with special permits to enter within certain hours. They are policed by camera and Italian authorities have up to 12 months to collect fines on these infringements. If you have rented a car the charge will be passed on by the car rental company along with a hefty administration fee. The best way to avoid the ZTLs is to park on the fringes of cities and walk or take public transport into the historical zone. This article has interactive maps of ZTLs in the major cities. Italian law requires all drivers to have full insurance coverage for liability, theft, and collision. This insurance is generally covered in the cost of your car hire. It is designed to cover damage caused in a collision with another vehicle and not single-vehicle damage. Where drivers usually get stung is paying for excess charges – sometimes over €1,500 – as well as the car hire firms fees for administering the claim. If you are worried about this and don’t want to be stung by the car hire companies high charges you can take out reasonably priced excess reimbursement insurance annually. We use a combination of Google Maps, a GPS and physical maps when touring Italy by car. I strongly recommend not relying solely on digital navigation options, particularly in the south of Italy and Sicily. The roads are very small and some have not been mapped correctly – we learnt that the hard way. 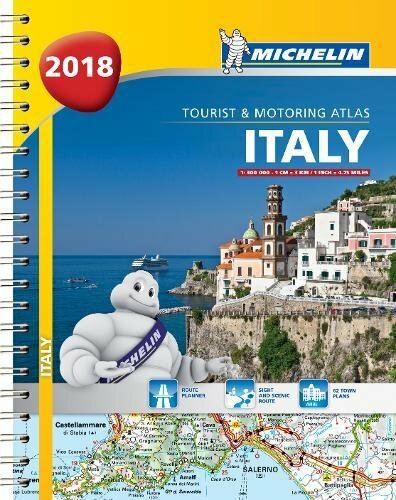 Plan your trip before arriving in Italy using major roads and logical routes as the smaller roads are prone to pot holes and other challenges. Our relatives in Italy showed us how to shave an hour off a trip that was supposedly the fastest route in Google. You can download your maps and use them offline if needed onto the Google app on your smartphone. Road signs and other markers are fine on major roads and motorways so use them as generally they show the most logical and direct route. I think this is where visitors are most afraid of driving in Italy apart from driving in the central zones of the big cities. The key to driving on the Autostrade is to stay calm and in your lane. Yes cars will be zipping past you at alarming speeds but there is no need to join in. Just stay in your lane and move to the right well before your exit. Expect to pay tolls when using the autostrade or highways. You can either pay by cash or credit card into a machine or at an attended booth. Telepasses are connected to Italian bank accounts so cannot be used by visitors. Tip – International debit cards are not accepted at some of the toll booths so make sure you have an alternative payment method. Estimate your toll costs by putting your destination into this toll calculator. Where possible pay your tolls in cash to avoid additional card charges. Tolls in the north of Italy are significantly more frequent and expensive than those in the south. We only encountered a few toll stations in Sicily and Calabria. Make sure you get in lane early for the toll booth if you want to speak to a person, not a machine. They may not look anything special but rest stops at service stations on Italian motorways and highways – known as autostrade – are very handy. You can always get a decent and tasty snack or meal, and the bathroom and toilet facilities are usually sparkling clean. Signs on the autostrade let you know how far it is until the next service stop so you can plan breaks accordingly. Unfortunately, unlike French highway stops we haven’t found many play areas for children or outdoor seating areas in Italian rest stops. Finding a secure car spot, in a central location for a reasonable rate can be difficult in Italian cities. Having learnt my lesson the hard way in Lucca, I now make a point of researching the best places to park in each city we visit. There is nothing more frustrating than wasting time driving around trying to find a car park when you are traveling. We look for secure, underground car parks where possible. A simple Google or TripAdvisor search will help find these tips. There seems to be a bit more decorum when parking in these facilities than on the street where anything goes. Parking on the street is possible however you may be limited in terms of time. Look for blue zones where the car spaces are marked in blue. You pay for parking either at machines or a nearby tabaccaio or tobacco shop and then display the ticket on your dashboard. Do not expect people to park neatly. Haphazard parking styles are one of the funniest things you will see in Italy. Well, they are funny until you are wedged into your spot. Keep your coins for parking. We did not find many places that accepted cards in the south of Italy in particular. Firstly check that everyone is ok and if necessary call the authorities using the emergency numbers below. Accidents must be reported to the police within 48 hours. If there has been damage to your or another car you must complete a CID, also called CAI Constatazione Amichevole di Incidente. You must carry this in the vehicle and it will be provided by your car hire company. You will need this documentation for insurance purposes so keep it safe and take a photo of it with your phone. Listen to and follow instructions if given by hotels or tour companies. Take it from me, they know better than Google! Ask for help if you get stuck. If you find yourself wedged in between stone walls with the only option looking like doing some severe damage to your hire car, do ask a local for help. Italians are kind and helpful and used to helping visitors resolve driving issues in their country. Obey the road rules even if it seems like everyone else is not. Revenue raising by collecting fines is not restricted to your home country. 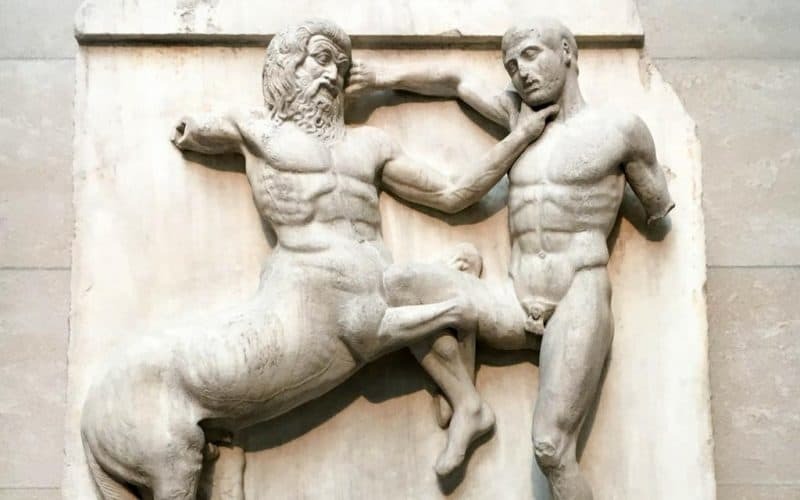 You don’t want your lasting memories of Italy to be a €500 fine. Enjoy your Italy Road trip! Driving in Italy is an excellent way to get off the beaten track and explore new areas. 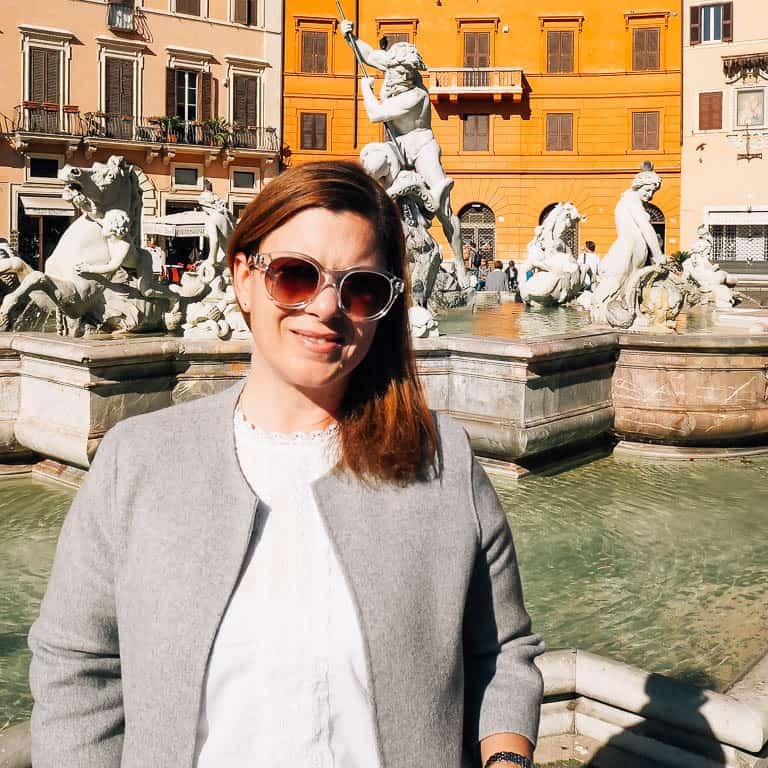 Without a car, I am sure we would never have discovered some of the pretty towns of the Italian Riviera, Lake Orta and our favourite parts of Sicily. All it takes is some planning, and you will be on your way to an incredible Italian adventure. You can find more tips for traveling in Italy here. Thank you for sharing the details. I love your photos of the red car. This is a great guide!! We did alot of driving on our recent Italy trip. I wasnt the driver though! My husband does most of the driving too but I have driven the Genoa spaghetti junction and acquired a few grey hairs in the process! This is such a helpful, practical post! I love it!! Will definitely be looking at this before my next trip to Italy!! Very useful article! I have had my share of driving around Italy and I know it can get complicated and a total mess and that’s why I alway think twice before renting a car and getting lost on the Italian roads (especially in small towns). Good one. We live in southern Germany and have been thinking of driving down to Italy for awhile. Many of the autobahn services stations have playgrounds for kids too, good to know the Italian ones generally do not. Love these tips. We’ve been to Rome once and it was pre-kids so we were fine without a car. This time I think we’d definitely need one….although I did find the roads a bit nuts last time we went! What a useful post for anyone not familiar with driving in Italy (or in Europe in general as most of these points apply across the continent). As you know we drive everywhere so totally agree that it’s the best way to see off the beaten track places. Love you photos of the fiats! What a great and comprehensive guide! Unfortunately I’m not old enough to rent a car yet (silly 25+ age restrictions) but a road trip through Italy would be a dream! Great post, very informative. Interesting to hear that the Fiat 500s have space inside because they look so tiny! Thanks Jen. I fall into the over prepared bucket although I did wish we had a better map in Sicily. Such a helpful post! I was too afraid to drive when I visited Italy (the roads are so narrow compared to in North America!) but if I ever go back, I’d love to try getting around in a cute Fiat 500! They are my absolute favourite car Bryna – especially the vintage ones! I’m scratching my head, but I don’t think Daisy the bus has ever been to Italy. Whilst I am sure we would love it, I am not so sure that Daisy would appreciate the tiny streets, weaving vespas and haphazard parking ;o) Very informative post – grazie! Thank you for this useful info. 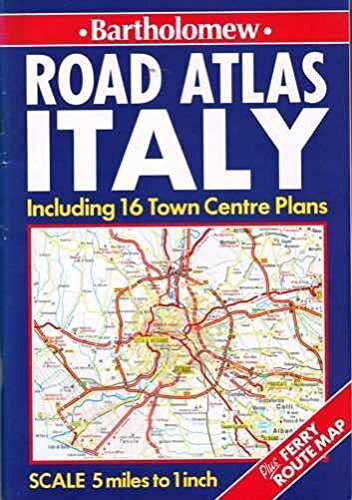 We’re planning a European road trip in our motorhome including exploring Italy so this will be very useful! That’s very informative and useful post Katy. I would only add, be careful not to leave any valuables in the parked car even if you leave it in the secured parking house. The break-ins are very common. It happened to my hubby in Milan and my friends in Milan and Livorno.